We know little of the recipes from the Viking era, but knows a lot about the ingredients the Vikings had at their disposal through archaeological excavations. It is among others found “remnants” of food in pans and waste piles. Something is also featured in writings from this era. 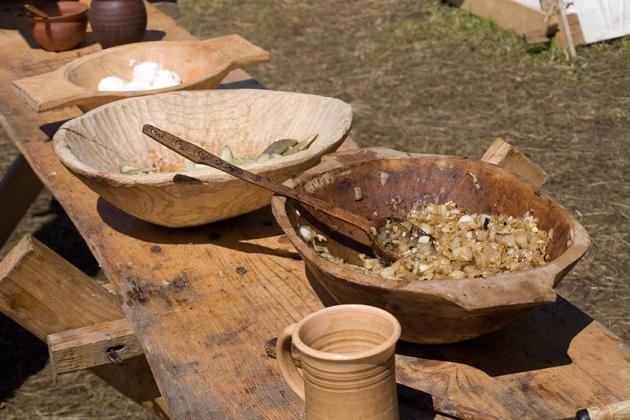 Everyday food for the Vikings was often porridge and soups / stews. Meat was mostly for celebrations. They also had access to milk, honey and eggs. They used sour milk and made cheese, beer and mead. The beer was thin and was drunk everyday. Mead is a honey wine that was drunk for special occasions. Fascinating! I’ll want to come back to this for reference.